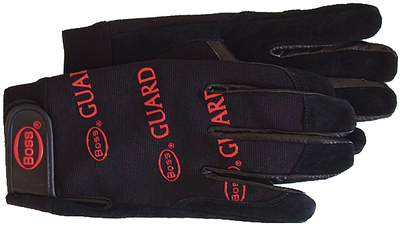 Reverse grain pigskin palm, stretchable spandex back, fourchette fingers with vent holes. Elastic cuff with adjustable self-gripping wrist fastener. Machine washable, line dry. Large, black color.